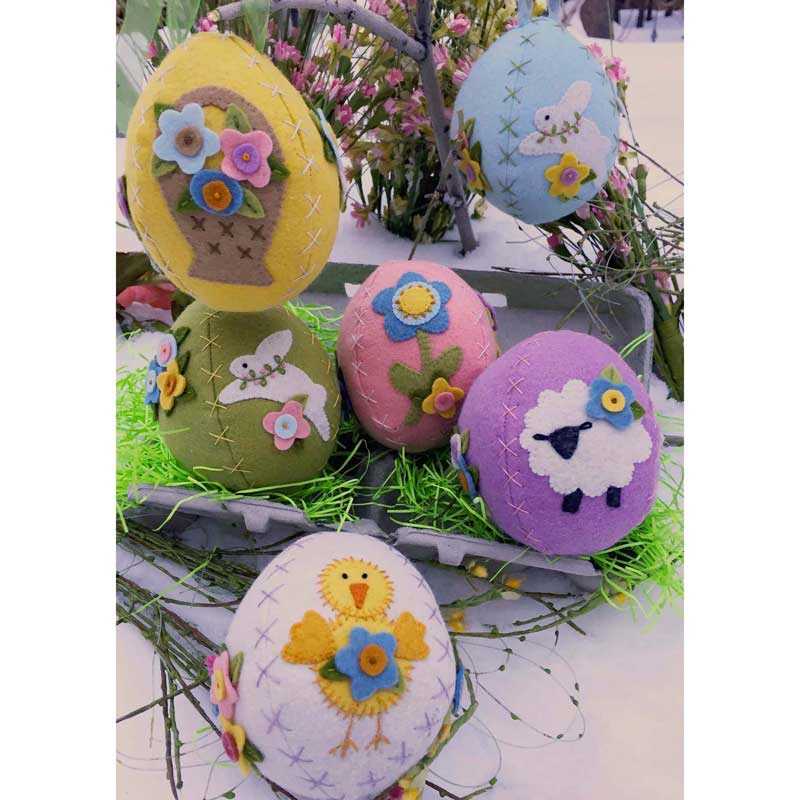 Five different egg designs on these fun and easy eggs! Simple appliqué. You can make with wools or wool felts. Pattern includes full size design page, appliqué instruction and easy embroidery instruction. Finished size each egg 4 inches tall and about 3 inches across.